I am in Car Sales. Many consumers don’t know that Car Companies have other Car Companies make cars for them. 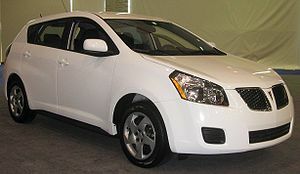 For example, did you know The Pontiac Vibe is actually a Toyota Matrix? 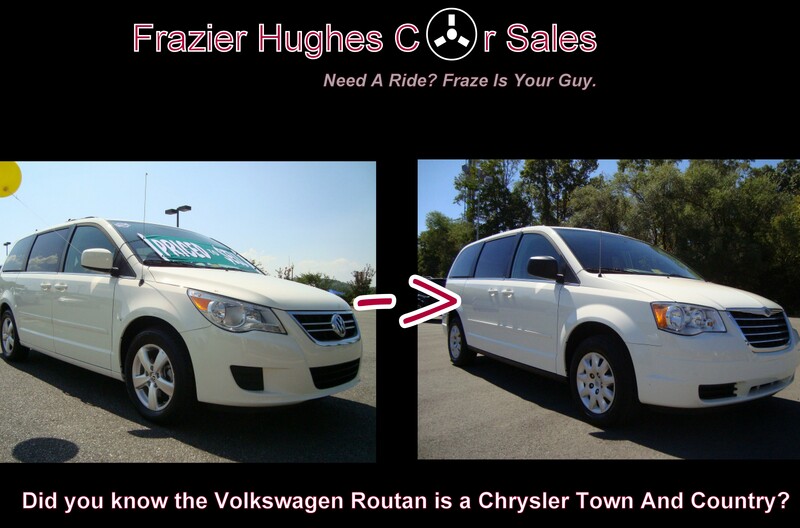 Well here’s another one for you… Did you know the Volkswage Routan is actually a Chrysler Product? Produced on the same platform as the beloved T&C, the Routan shares the Chrysler’s engine and transmission, but body panels, interior trimmings, and suspension tuning have all been engineered by Volkswagen to provide a little Teutonic refinement. To that end, the Routan looks a little sharper and rides a little sportier than the Chrysler. Interior materials are a notch above Detroit‘s minivan, and the Routan offers a hint more engagement to its driving dynamics. Previous Post@Hugh3sNews “Are Your Meetings At Work A Waste of Time?”Next PostGreat Halloween Voice Overs… I do them too.